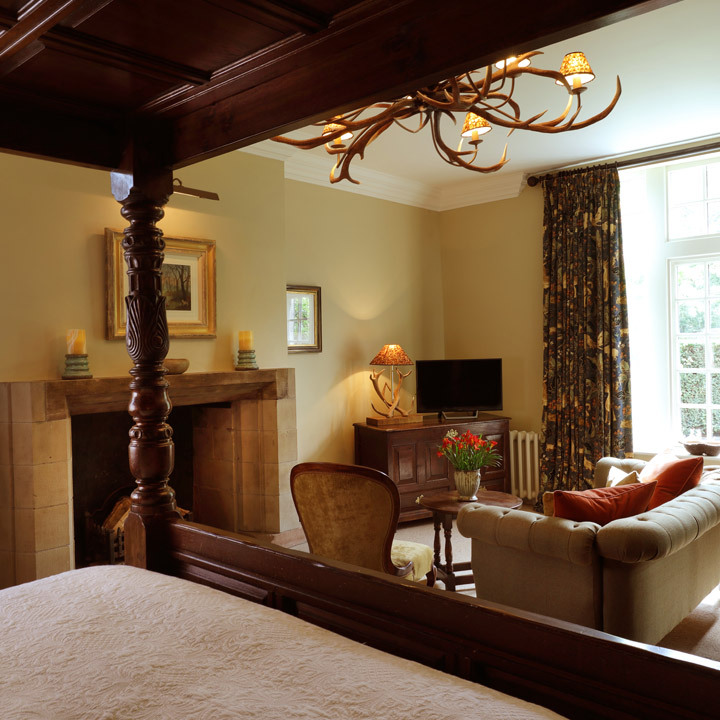 With its generous proportions, exceptionally comfortable super king, antique 4-poster bed and original stone fireplace, it’s not difficult to see why this divine room situated at the end of the corridor on the ground floor of the east wing has always been a firm favourite with our returning guests. 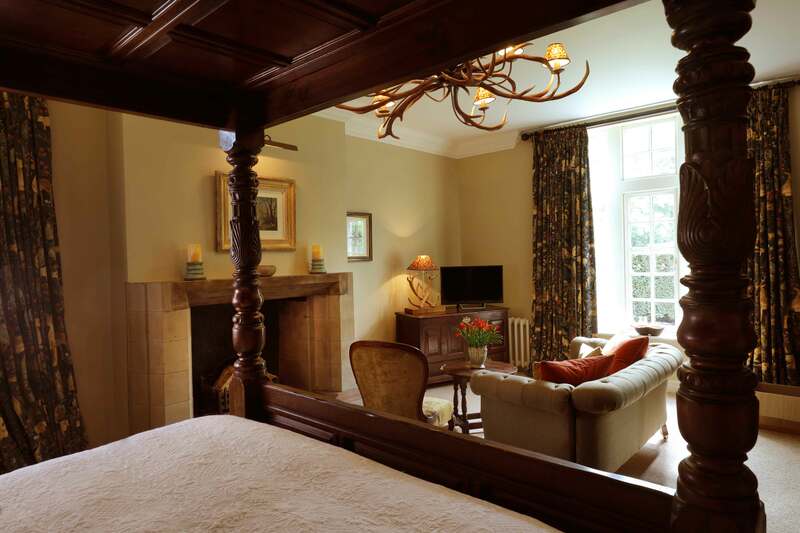 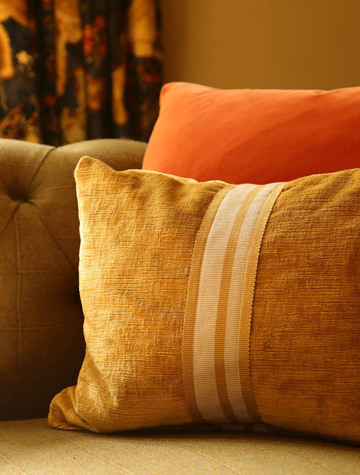 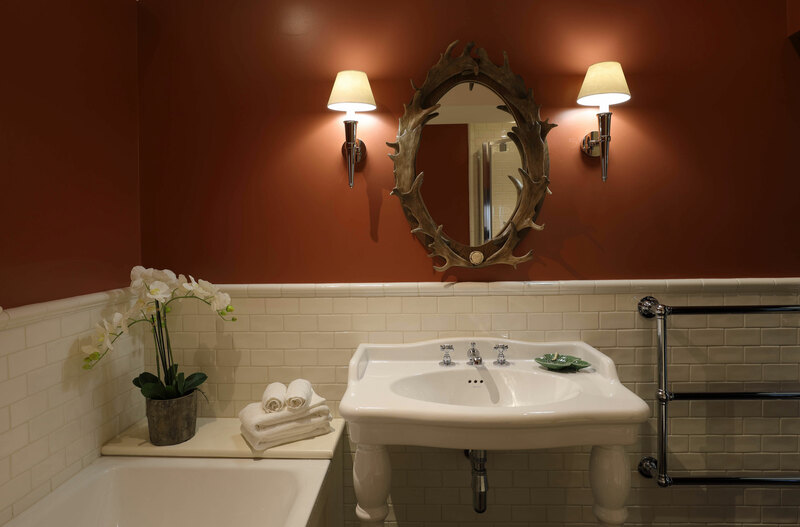 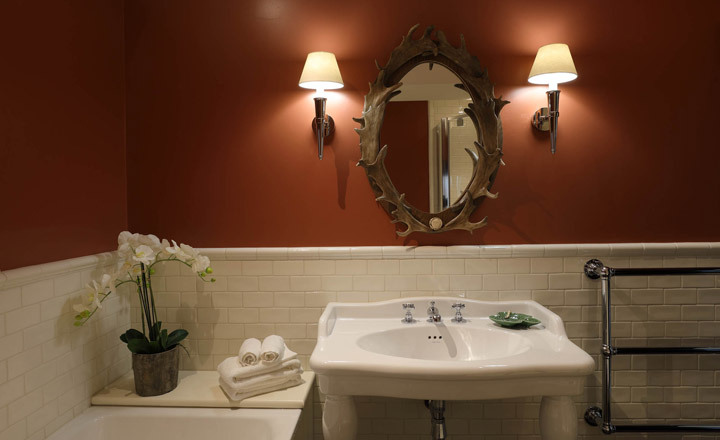 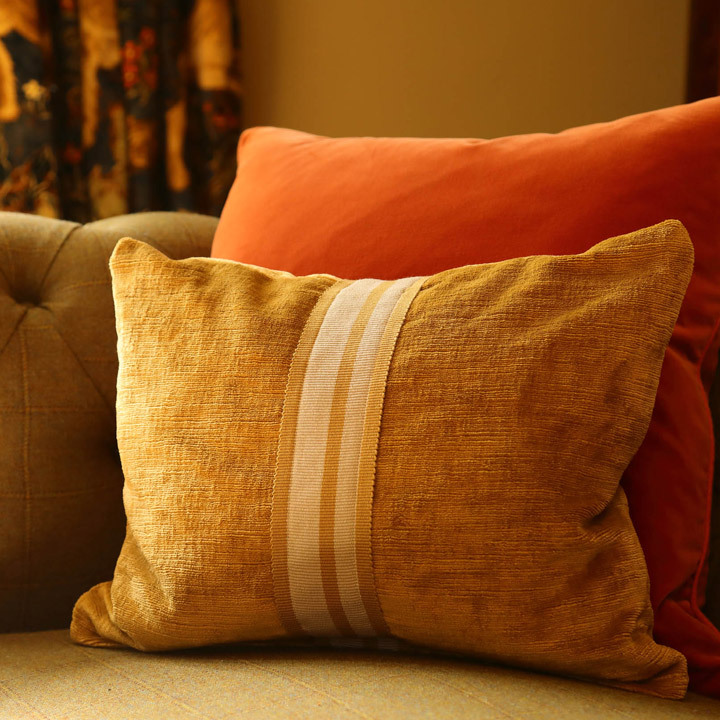 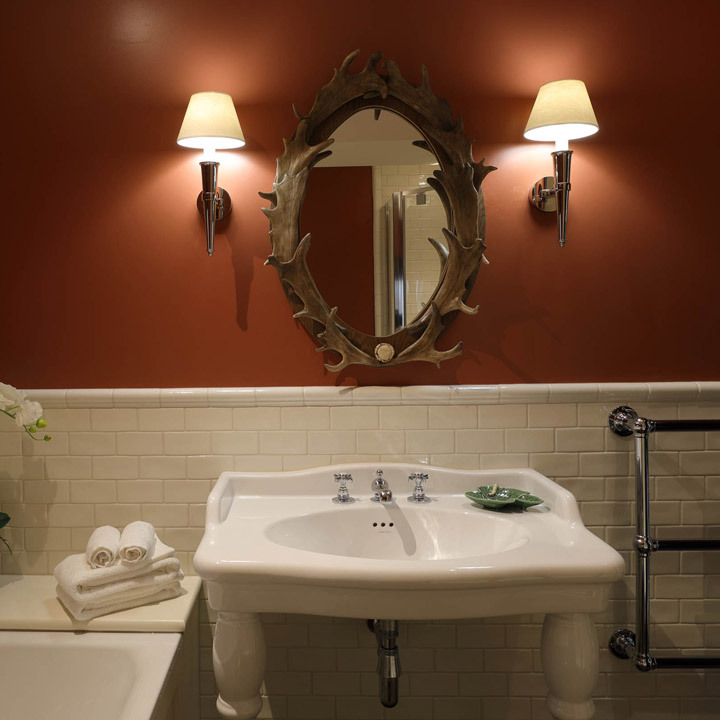 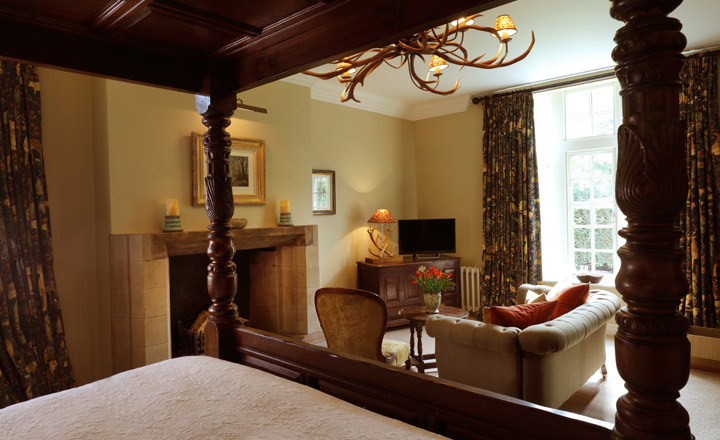 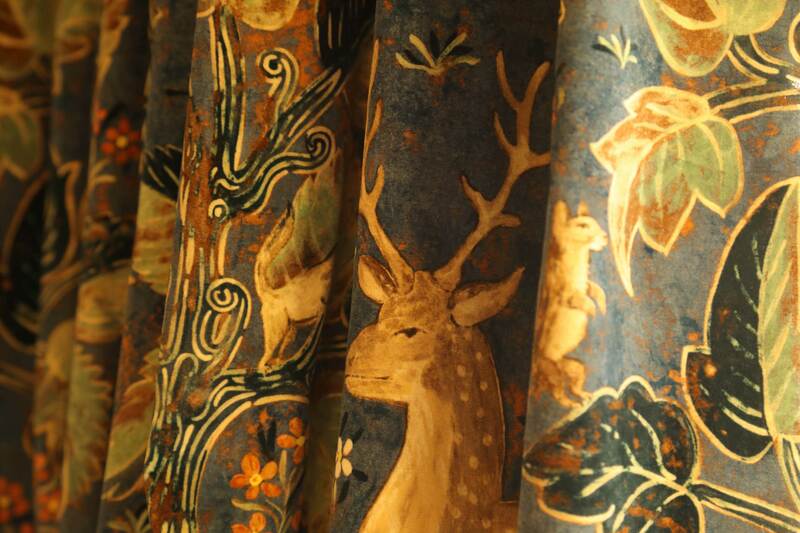 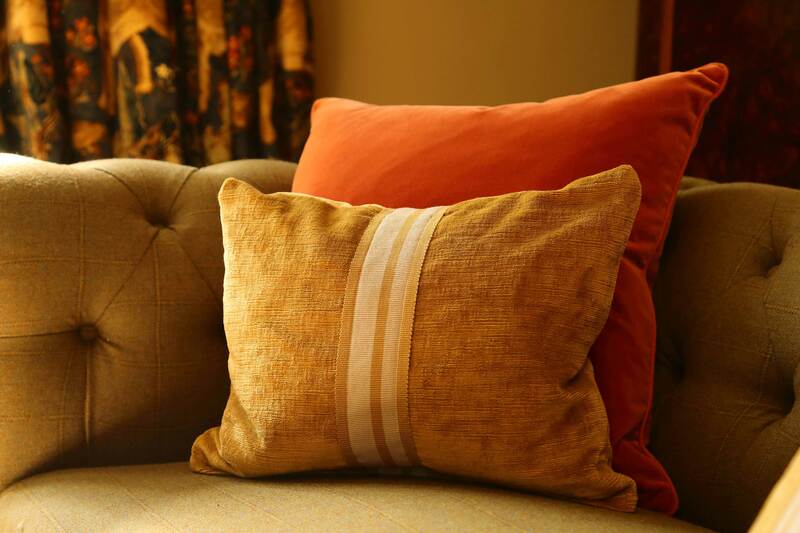 Inspired by the dense forestry that once surrounded The Yorke Arms and which provided rich hunting grounds for our ancestors, ‘Antler’ is quietly tucked away, allowing you a beautiful, private space within which to fully indulge yourself during your stay. 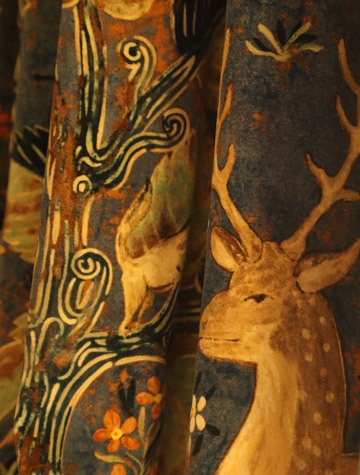 The muted tones set against the striking Zoffany mid 15th century velvet ‘Arden’ forestry curtains – the design of which was rather fittingly discovered in a house in Halifax in 1901 – sit together perfectly and add to the grandeur of this very special room.